There whimsical creatures are designed and made by Kit Lane. 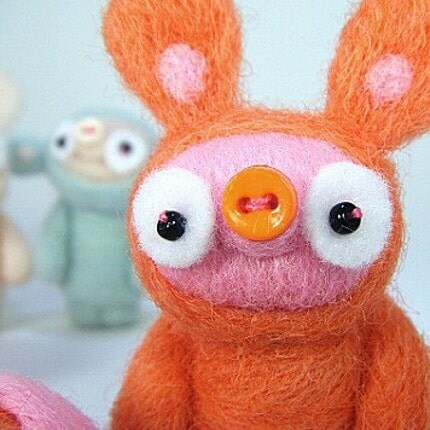 Ugly cute felted creatures wonderfully designed and utterly adorable! I need one!